Match three online game playable on mobile for free. 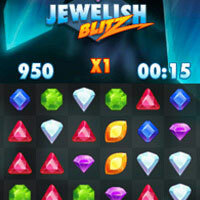 Swap jewels to make rows or colums of three same colored gems. If the gems match they will be removed from the board. Be quick and make combos to get the highest score.